Createspace Independent Publishing Platform, 9781507820407, 410pp. 365 Daily Readings that will take you on a journey through all the Bible Books. 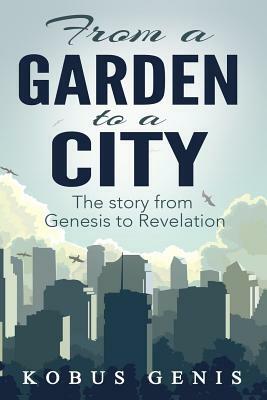 This journey follow the story line of the Bible starting in the GARDEN of Eden Genesis and ending in Revelation with a CITY, the new Jerusalem. KOBUS GENIS was born in Bellville, South Africa. He obtained a Bachelor's Degree in Theology (BTh) from the University of Stellenbosch, South Africa, and served as a minister in South Africa from 1992-2003. Since 2003 he and his family have been living in sunny Alberta, Canada, where he is a minister at Westminster Presbyterian Church, Calgary. Kobus' passion is to teach people how to UNDERSTAND, APPLY and COMMUNICATE the essentials of the Bible in the 21st century. You can follow his teachings on www.biblegps.net.